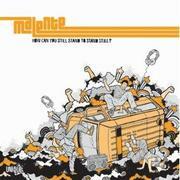 Malente (born Christoph G鰐tsch) is a German DJ, producer and remixer. Since 1999 he put out 5 Albums, several 12-inch singles and MP3s / WAVs starting out on Düsseldorf&apos;s Label Unique Records. Since 2004 he releases on Hamburg based Moonbootique, on Norman Cook&apos;s Southern Fried Records, on A-Trak&apos;s Fool&apos;s Good, on Steve Aoki&apos;s Dim Mak Records and Malente&apos;s own Label No Brainer Records. In addition to his own productions Malente delivered Remixes for Artists like Armand Van Helden, Moonbootica, Audio Bullys, Foals, Bob Sinclar, Larry Tee and several others. In 2007 as well as in 2009 he has been voted Top National Act of the German Club Charts (DCC). 1997 till 2001 G鰐tsch released two Albums and some Singles of samplebased Indie-Pop with German Rapping under the name Gautsch Starting in 2004 Malente sporadically teams up with Berlin based Lars Moston for DJing and producing as Moston & Malente. Since 2008 he also works with Daniel Dexter AKA Dex of Acidkids. Under Malente&Dex they release some 12-inch singles on Label Exploited Records.